Influenza, also known as the flu, is a viral infection. It is contagious and the respiratory system is affected. Its season normally lasts from October to March and peaks from December to February. If a person has a chronic health problem, the flu can make it worse. People with these challenges are more likely to get complications that are flu-related. These include those with: asthma, diabetes, those with heart disease and those who have had a stroke, those with HIV or AIDS and those who have cancer. If a person age 65 or over develops the flu, they are at greater risk of serious complications associated with the flu. According to renowned neurosurgeon and medical media reporter, Dr. Sanjay Gupta, the flu can definitely become pneumonia. He writes, “About one-third of all pneumonia cases in this country are caused by respiratory viruses, most commonly influenza.”1 Moreover, in the elderly, pneumonia can be life threatening. Information about the flu and vaccination for those over 65 years of age are at this link: http://www.cdc.gov/flu/about/disease/65over.htm. In addition to the regular flu vaccine, there are two vaccines which help people ages 65 or older. These are called the high dose vaccine and the Adjuvanted flue vaccine, Flua – made with MF59 adjuvant. More information is available in the link provided from the Centers for Disease Control and Prevention above. The San Luis Obispo County Public Health Department offers free/low cost flu vaccines. Your doctor and area pharmacies also provide the regular flu vaccine and the high dose vaccine. Please call to them to learn about prices and to schedule an flu vaccine appointment. There are three locations of the San Luis Obispo County Public Health Department currently providing the free/low cost flu vaccines. The flu vaccine is free if you have Medicare. It is also free if you have Blue Shield PPO. It costs $20 for the regular flu vaccine if you do not have the above. The San Luis Obispo County Public Health Department also provides the high dose vaccine. If you have Medicare, the high dose vaccine is provided free at your request. If you do not have Medicare or Blue Shield PPO, the high dose vaccine is provided at an extra cost: $40 plus an administrative fee of $20 for a total of $60. The CDC also recommends that people age 65 and older also get pneumococcal vaccines. People 65 and older should also be up to date with pneumococcal vaccination to protect against pneumococcal disease, such as pneumonia, meningitis, and bloodstream infections.³ Talk to your doctor to find out which pneumococcal vaccines are recommended for you. Practice good habits related to health. Get adequate rest. Eat a balanced diet. Exercise regularly – especially vigorous intense cardio exercise – first check with your doctor for your doctor’s recommendations on recommended exercise, based on your health. This boosts your immune system – helping you to fend off the flu. 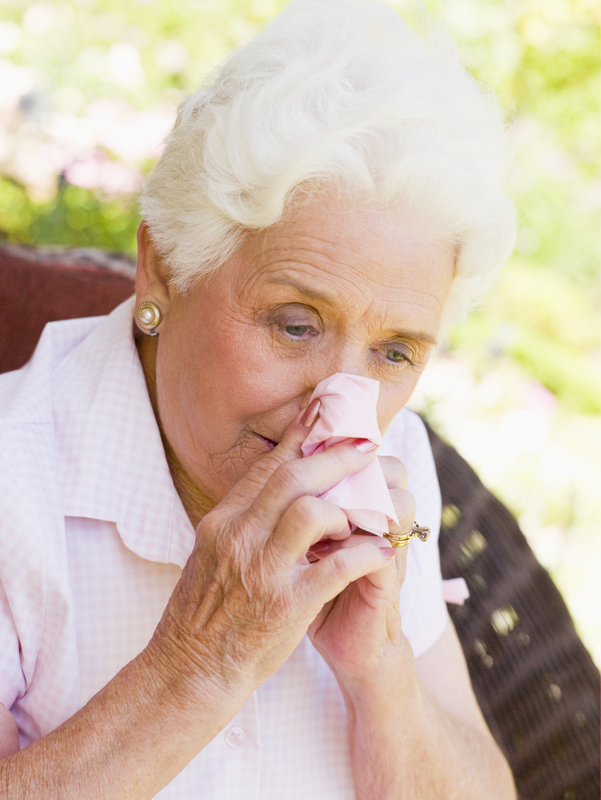 Elders may have direct contact with surfaces which may carry the influenza virus. Hands are the major source of transmission of viruses, germs and bacteria. Therefore, good hand hygiene is very effective in preventing infections and viruses. Hands should be cleaned often. The preferred method for good hand hygiene. is by rubbing them with an alcohol based hand cleanser formula. Hand washing with soap and water is also recommended. Cough or sneeze into a tissue, and placed the used tissue in the trash. Clean or wash your hands immediately. If you do not have a tissue, cough or sneeze into your upper sleeves. It is not recommended that you cough or sneeze into your hands, as the hands can easily transmit germs, bacteria or viruses. Q: Cant the flu turn into pneumonia? Christian Love Home Care, LLC is a non-medical home care agency. Accordingly, information provided in this blog as well as on our website is for informational purposes only. The information is not implied or intended to take the place of professional medical advice, treatment or diagnosis. You are encouraged to always confirm any information from this website with professional medical advice.